Fundraiser to Support Delaware Open Carry! We've come to that time of the year when our server lease and domain name registrations are coming up for renewal. In the past, many of you have expressed your generosity in the form of donations in order to keep the site running - I'm asking for your support again this year. Please visit our donation information page for more details and, if you enjoy this site, if you've ever attended our gatherings or, if this community has brought you some knowledge or entertainment, please give what you can to keep us going. This is my first time posting on here, but I think I followed all of the rules. I have a Glock 17 Gen 4 for sale. I put roughly 350-400 rounds through it and have taken extremely good care of the firearm. I am asking $475 obo for a FTF sale and the buyer pays for the transfer. I am not interested in shipping. 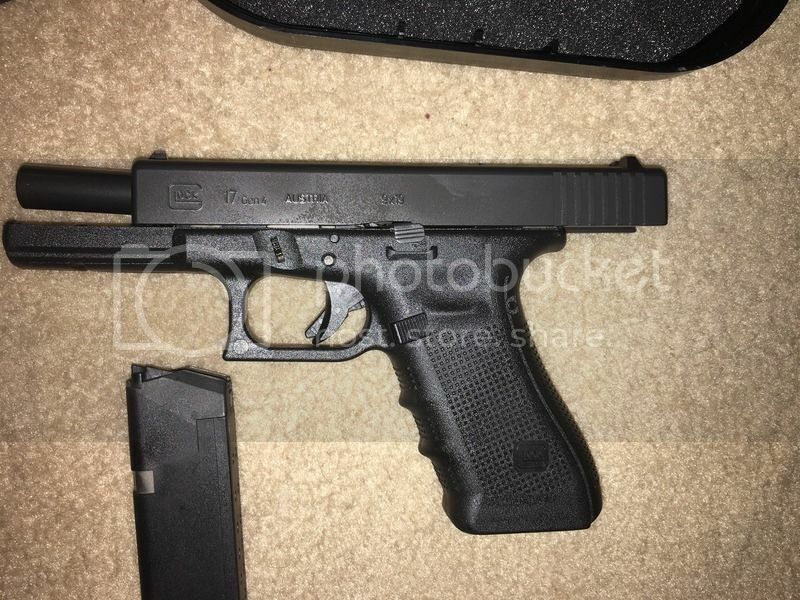 Includes: Glock 17 Gen 4, hard case, 3 magazines, 1 mag loader, and lock.